Born in 60s. From Oyo state, a highly motivated and resourceful executive that has made very significant contribution in the management of resources, human and material in every office he occupied, with proven competency in implementing policies to successful completion. 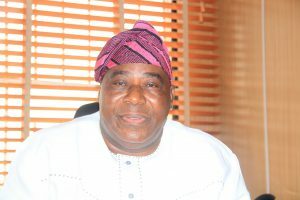 A strategic thinker with multi-tasking competence in seeking out ways to improve processes and streamline operations in the work environment of the public sector an astute administrator evidence of this is that he is a member of Nigeria institute of management, fellow certified Board of Administrators, fellow institute of operations management. He heads personnel policy Management and Finance department from 2011 to Date. 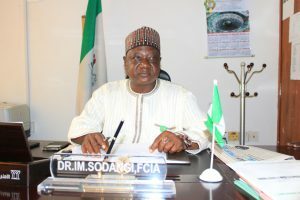 Dr. Sodangi Ibrahim Mohammed, FCIA has over 23 years’ experience in service particularly in the field of Administration in various organizations with extensive knowledge and understanding of Administrative functions and procedures in public and private organizations. His guidance and mentorship helps the Commission to make head way through complex governmental procedures. He holds a Ph.D. In Public Admin and Policy Analysis from University of Abuja, and also a Fellow of Charted Institute of Administration. Define and disseminate NAHCON’s Manpower Resourcing Policies and procedures, create strategic recruitment and selection plan. Design documents and implement NAHCON’s Performance Management System and oversee the design and development of NAHCON’s Compensation Strategy and Programmes. Create NAHCON’s Strategic Training and Organizational Development Plans and procedures to meet the Personnel Professional and organizational needs of NAHCON’s employees. Define, document policies, and regularly update NAHCON’s career and succession polices, plans and procedures. Recommend and maintain organizational structure and staffing levels to accomplish NAHCON’s goals and objectives as well as oversee, redesign of job description as the need arises. Evaluate procedures and technology solutions to improve Human Resource Data Management. Ensure the maintenance of cordial relations between Management and the employees. Evaluate NAHCON’s culture and provide recommendations on changes to accomplish NAHCON’s goals and objectives. Develop and coordinate grievance procedures and mediate workplace dispute. Recruit, train, mentor, supervise and evaluate subordinate staff. Provide inputs for the establishment of the Administrative Policies and Procedures of the Commission. Identify and recommend for registration competent administrative service, contractors/providers such as Security Firms and Maintenance Contractors. Manage and supervise the provision of efficient Transportation, Security, Welfare and Facility Management Services to the Commission and its employees. Monitor and determine non performing contractors and recommend appropriate sanctions for non performance. Liaise with Airlines and Foreign Embassies for Air Tickets and Visa Issuance for official trips. General Administration of the Commission. Perform any other duties that may be assigned by the Commissioner, PPMF from time to time. Trains and contributes to financial manpower development for human resources in the Commission. Usman Aliyu Shamaki was born in 60s. He attended University of Maiduguri where he obtained his LLB in Sharia Law. 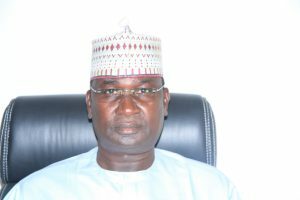 He began his civil service carrier with the Commission then known as Directorate of pilgrims in 1992 as a Pilgrims Officer raising through ranks to become Assistant Director (Admin) in the Commission. He has served in different departments and units of the Commission. The officer was once an attaché at the Nigeria Embassy, Saudi Arabia, in charge of Hajj. He has attended National and International conferences on Hajj matters. He is Currently the Head – Policy Division of the Policy, Personnel Management and Finance (PPMF) Department of the Commission. To provide mechanism to control the behaviors of the pilgrims, service providers, officials of state pilgrims welfare boards and agencies. E.g. policy for the inclusion of pilgrims with disabilities of pilgrims with specific cases. To provide specific guidance towards implementing strategies to achieve the NAHCON’S mission e.g. policy on staff development, employment etc. To provide general guidance about the organization (NAHCON) mission.